I'll be waiting for you! Have you ever had a strong emotional reaction to something and wondered if everyone or even anyone else shared your experience? Listening to as much music as I do, this is almost a daily occurrence for me. Either I'll REALLY like something or just as strongly dislike it and I'm wondering if anyone else is going to agree with me or if I've just LOST IT! Although there are surely times when the latter situation seems more likely, the former has been the case more often than not and because of that, it's allowed me to so much enjoy a great deal of this wonderful music. I can remember from back just a couple of years ago now in the case of Toussaint with his stunningly beautiful album, "Black Gold". The more and more I listened to that project (and still listen to it these days), the more I became convinced that we were dealing with something special and, as it turns out, we were. Today, Toussaint is easily one of my favourite artists. His is an unusual example, ultimately, because his music has a 'built-in' fascination in it - being a Soul singer singing Roots Reggae - but what I find is even more interesting than that is when I get such a heavy feeling for an artist or an album (or both in this case) who/which is COMPLETELY within the spectrum of the music. Over the past few years we've seen several instances of this, but definitely one which stands out so brightly is a little album released about four years ago now by the name of "Back To Africa" by a singer originally from out of Dominica, but now based in St. Croix, Harry Mo. Before I even get to why that album was, and still is, so crucial, I can remember just seeing the cover for it and seeing the title of the album and reading the tracklist and just getting a feeling that it was going to be an amazing record and despite such lofty expectations, it still managed to impress when I finally got my hands on it. This came after a first album from the vocalist, "Runaway Slave", which while wholly solid and just a very well done set, didn't get my mind to thinking that HERE was someone who, in just a few years' time, would manage to drop one of the single finest albums that I'd ever heard from anyone. Now if you do something like that, you've got my passion and you've got my loyalty and I don't really even care if anyone else agrees with me. (although I do still wonder). So what was so special about "Back To Africa"??? Looking back on it, and really just enjoying that I have such a wonderful reason to go back and listen now, what I'm left thinking about the project and of Harry Mo is that both just exhibited such a great FEEL of Reggae music. Also, when we went back and declare it a Modern Classic, and had the opportunity to break it down in a great detail, I was also really proud of just how well the album stood up to that type of scrutiny and I can fully say that these days, four years after its release, I hold "Back To Africa" in just as high esteem as I ever have. Surely anyone who heard that album and appreciated the genre of music would agree that it was at least solid, but I don't know if too many people took it to the level that I did (certainly not in writing a 2500+ word review, although if you want to do that, I'd LOVE to read it). That was just such a POWERFUL moment for me and one which stayed mighty enough to do something else today. Like what? 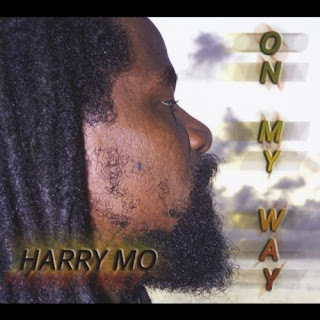 Like reintroduce to Mr. Harry Mo who now returns to the masses with his sterling brand new and third LP to date, "On My Way". I had not the slightest of indications that this album was even on its way (did you see that?) or anything and it did come as such a grand surprise when my Brother-In-Law (biggup Bredz) tells me that Harry Mo is back with a big new album! I don't know much about this album's foundation, although it does come on the same Yellow Hill Music imprint as its two elder siblings and, just like its most immediate, I was really expecting something big here, but with the change being based on merit this time around not just a great hint I had. Previously, Harry Mo has worked with fine musicians such as the I Grade Records camp and while obviously I can't verify that in this instance, I wouldn't be surprised if that's the case here as well and I also know that he's played with the Black Star Band previously (and doing work in Europe apparently), has Mo. What I can say, however, is that the music here, regardless who helped to construct it, is top notch through the thirteen tracks to be found on "On My Way". I also did notice a bit more lively shift from the previous album, one which is quite prevalent throughout, so it appears to be a conscious move on the part of Mo, which is a good thing. Some of the response I got from "Back To Africa", in the way of criticism, was that some fans thought it was just too straight-forward and it was also something I believe I brought up in discussing the album (although I didn't think it was a fault necessarily), but that's not at all a point of concern here as this album features quite few different things in the way of its full sound. What has remained, on the other hand, is the large musical presence of Harry Mo. Again, this may just be one of those things that I'm left to wonder if anyone else is really taking a mental note of. There is just something about the way this man makes a song that WORKS for me. He has a way of placing things together so nicely for one purpose, whatever that is at one particular moment, that just makes so much sense to my ears and strikes a chord in me as a listener and a FAN! A fan is what I am when it comes to Harry Mo and I'm damn confident that if you pick up "On My Way", you'll share my passion. Here're a few reasons why I say that - I like to call them "songs". As a writer, Harry Mo has this endearing quality which remains present on his third album and makes his music even more appealing to my opinion - he writes songs about . . . Things. I know that sounds weird, but it's basically just a pretty bad way of saying that he 'sticks to a topic'. 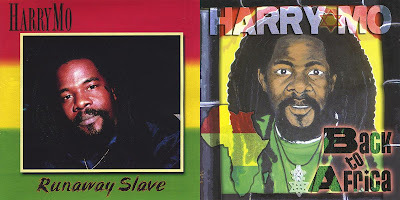 In Roots Reggae where there're just a plethora of not only 'accepted' ideologies and subjectry, but ways in which those things are discussed and just flat out clichés, Harry Mo eschews those things for the most part and is really one incredible writer of lyrics. Evidence of that is to be found on the very first track on "On My Way", the stirringly vibrant 'Freedom City'. This tune could be taken in a few different directions to my ears (another impressive facet of Mo's writing - despite being generally quite specific, it also opens itself up to listener interpretation as well), but what I'm left with primarily is this tune being about UNITY. Sure, the idea is to 'be free', but the singer takes every opportunity to make sure you know that his idea of freedom exists BEST (and maybe only) when it brings people together such as on the tune's wicked second verse. Next in is the captivating title track which I just COULD NOT stop listening to after the first spin. It was right along with the type of vibes present on "Back To Africa" as Mo sets up this PLACE (that he is on his way to), but it may or may not be an actual physical place which he had in mind and is instead a most vivid state of mind! That's a powerful bit of imagery and, again, very relative to the last album, where "Africa" became not the continent, but more of a way of thinking and carrying oneself. HUGE TUNE! Things stay up and well for the last tune of the opening batch quadrant with a tune the Uprising Roots Band would surely be in approval of, 'Sunny Day'. This is a very feel-good type of track, but it also comes in with a big message, so you'll have to sift through its high sonic appeal to get to it - but it's well worth the trip. "On My Way" is just full of highlights and, as I alluded to, highlights which figure very likely to be able to catch the ears of some of the more casual fans. Along with the aforementioned 'Sunny Day', I also look at tune such as 'Get Up', which so wonderfully exhibits this. From the chorus on that track ["Get up, get up, get up. Get up and dance"], you kind of know what you're dealing with, but I like how, even in that, Harry Mo manages to make a point and make it one appropriate to the song - by essentially saying that after you do what you're supposed to do and handle your business, then definitely make some time to enjoy yourself. You'll also check the LARGE and electrically charged 'Shine Your Light' which I probably listened to half a dozen times, head rocking, before I REALLY tuned into it. It's just another song which is going to make you smile and I think that Mo's idea of 'shine your light', is basically just to do the absolute best that you can do in any given situation. The superb 'One Race World' is another 'colourful' effort with a sterling message as well. Mo, himself, designates the song as a celebration of humanity and that's exactly what follows. What does follows that entire song is another attention-demanding selection in 'Pray For Love'. And how about their livity? The vibes of this tune really just seem to LEAP off the track (particularly at the chorus) and throw themselves at you and, here, that's a good thing - you should be paying a proper attention. And you're also likely to like what you hear when 'No Love For Us' takes its place "On My Way". Here, I don't know that the sonic side of this piece, which are really upful and kind of Ska-ish, match the PURE social commentary nature of the lyrics. It's a very old-school approach to making a record and, again, it works in this case as this song is an undeniable winner. Unsurprisingly, most of my personal favourite moments on the album come during its more Reggae-centric moments, which are really some of the best I've heard from anyone in 2012 also. For an example of this I'll direct you to the final track on the album which is partially straight forward Reggae music, but partially a 'twist' as well. 'Mama Dominica' is Mo's ode his land of birth. The "Runaway Slave" album ended on a similar note with the gorgeous 'Dominique' and this tune also reminds me quite a bit of a song on the second album, 'Ithiopia'. That mix make for a big moment and Mo also switches things up - interjecting just a touch of Kreyol in his lyrics (and he does that several times throughout the album as well). The penultimate moment of "On My Way", the Marley-esque 'Rebel Music' is also a standout for me as Mo gives full credit to the music that he sings. Earlier on you also get the excellent antiviolence "appeal to the world", 'Silence the Violence' which, although it's very much straight ahead Roots Reggae music, it also has a large 'presence' to it and really gives the album energy when it drops in and also uses that vigour to add urgency to Harry Mo's message. The two remaining track featured "On My Way" (Mada Nile also had an album a few years back with that title) (biggup Mada Nile), 'Selassie I Name' and 'Creator' are the two best in my opinion and they both did a MAJOR bit of releasing of my senses when I heard them. The former is a full-on journey of a song and it well took me a lot of time working on it (and I still am) to get what I had to get from it. Where I am right now with it is that I see Harry Mo as calling out so many people who take Rastafari and put the distinction on themselves in one way or another, but only do so on a superficial level and they continue to live really ruining and destructive types of existences. Therefore, many people come up with such an awful view of Rastafari and it's for the work and actions of someone who never REALLY got things properly ["A whole lot of them run come call out Selassie I name. Behaviour is ashamed - making the Empress and dem feel shame"]. 'Creator' is just a . . . musical bar of gold! Immediately interesting here is that the song is the only combination on this record and it features none other than someone who recently dealt with on his older "Rasta Awake" album, Army. This composition is just HUMBLING as the two big artists give praise to His Majesty on a scale rarely reached and the two make a powerful pair in doing that. If you asked me RIGHT NOW, which of the two songs I preferred, I'd probably say the latter, but it doesn't matter, both are MASSIVE songs and huge additions to "On My Way". Overall, I hope someone else is as excited about this album as I am and I hope they buy it and realize that it's everything they hoped that it would be. I'm also hoping that newer fans will, for one reason or another, listen to clips of this set and think that it's something that they'd enjoy and pick it up also. Because now really, two albums into making THIS level of music (and the first album was very good also), it's about to start becoming downright WEIRD why he doesn't receive a proper amount of attention for making what is, in my opinion, some of the finest modern Roots Reggae in the world. "Back To Africa" was a nearly perfect set and "On My Way" is a nearly perfect followup to that album. Now YOU star regularly listening to the music of Harry Mo, so I can stop wondering so damn much. Album four will be just as good. Excellent. I bought this cd and love bad. 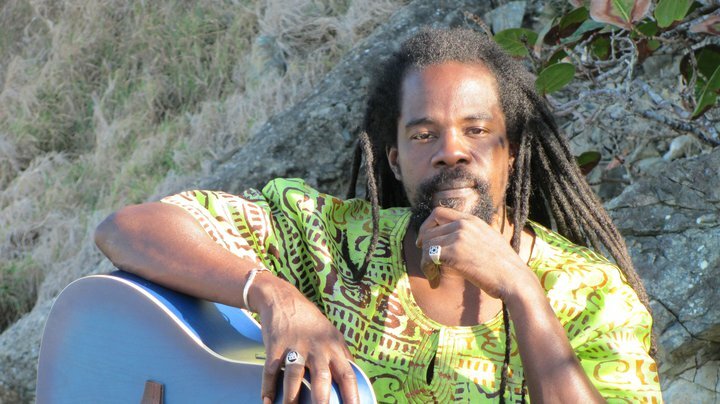 Harry Mo makes good roots reggae. All roots lovers should get it.